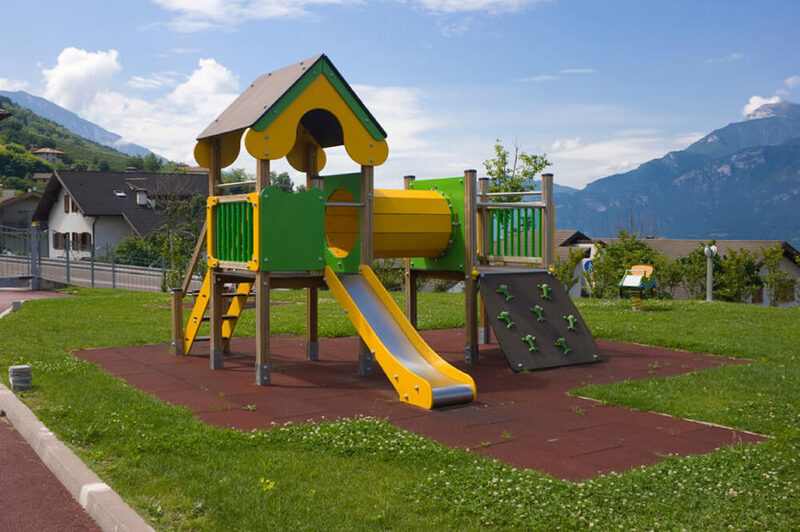 Welcome to our gallery featuring a wide variety of fantastic children’s backyard playgrounds. One of my favorite things to do as a child was go to the public playground. When I was really young we had a swing set but no playground like you’ll see below. 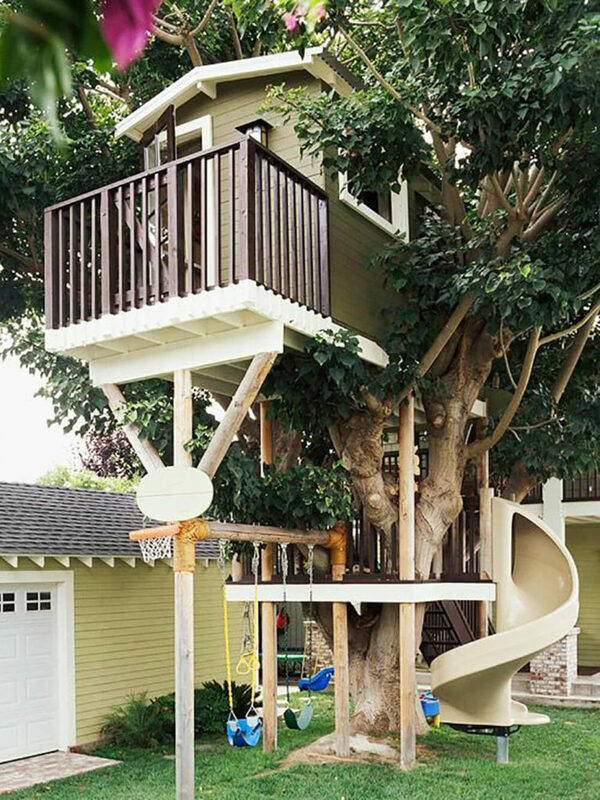 In lieu of playgrounds, many kids love having a tree house or playhouse. It didn’t matter if there was anyone else there, I could let my imagination go hog wild on the slides, swings, and other various playground equipment. The playgrounds I played on as a child are, of course, nothing compared to the size of some of the playgrounds we’ve collected in this gallery. The above playground is public, with a gorgeous view of the mountains beyond. It’s a truly stunning environment. From slides to ladders, climbing walls to rope swings, these amazing sets are sure to spark any child’s imagination. A few of these are luxury, custom-built forts and castles, while others are imagination stations built for a large number of children. There are also a few fantastic tree houses included, sturdy enough and safe enough for a sleepover! Regardless of the type, each play set is sure to provide countless hours of fun for any child, and to spark friendships that can last a lifetime. We hope you’ll enjoy this gallery, and you’ll be inspired to build the play set of your dreams! Wood backyard kids playground with climbing wall, tire swing, yellow slide, regular swings and playhouse. 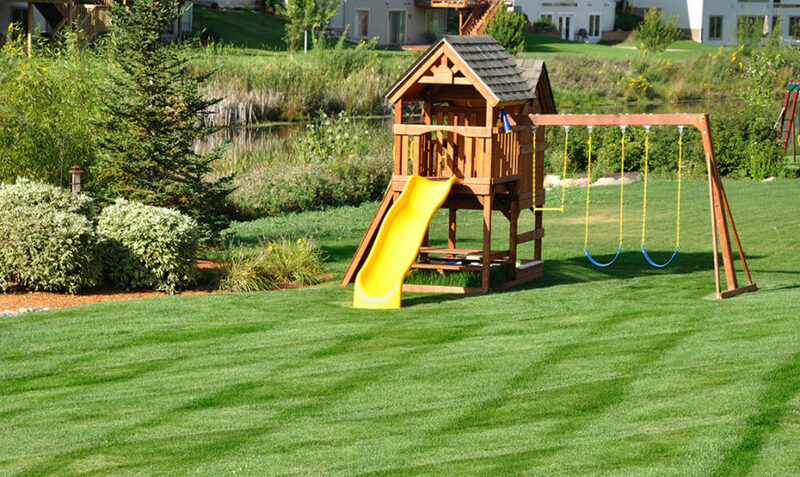 Colorful playground in backyard with gree slide, play fort and swing set on multi-colored turf. Large playground with large playhouse, swings (baby swing included) and green plastic slide. 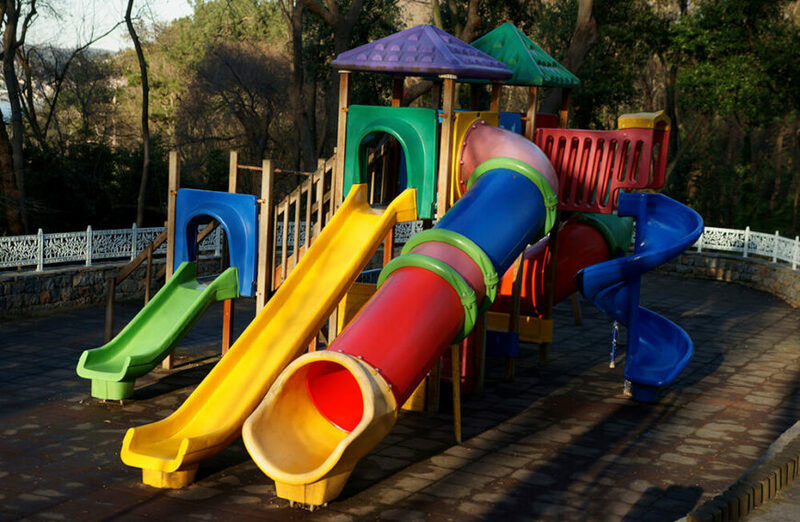 Bright yellow playground for kids in the backyard with multiple levels, green slide and fort. Small two-story playhouse with slide in large backyard. Small elevated playground platform with slide in the backyard. Backyard playground on pebble surface with long yellow slide. 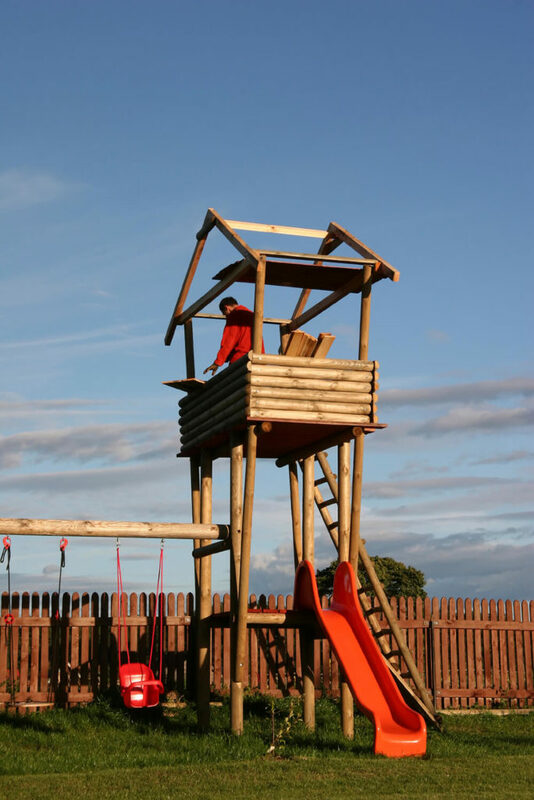 Large wooden playground with fort, climbing wall, green slide and swing set in private backyard. 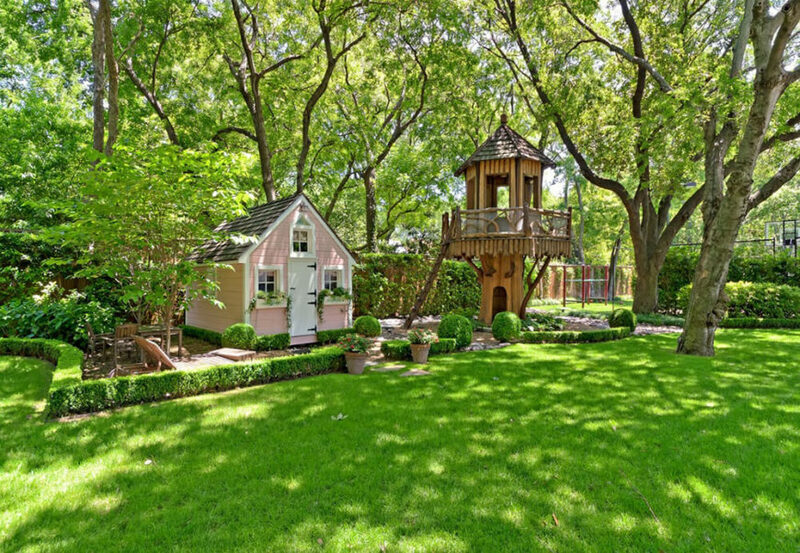 Small play fort in backyard set among gorgeous gardens. A small fairy cottage has its own garden and landscaping, with a treehouse tower off to the right. The railing around the top of the tower has bent wooden designs. This fantastic, multi-level treehouse features a large spiral slide, a swing set, basketball hoop, balcony, and a spacious finished interior. This green and yellow play set includes a slide, climbing wall, and a tunnel to crawl through. This incredible two-story playhouse features a slide for a quick exit, a solid glass upper story, and a more secluded ground floor with a few windows. Perfect for watching the night sky during a sleepover! This fantasy-style play set has a bit of a ramshackle look to it, with crooked windows and a doorway that looks as though it might belong on the home of a witch in the woods. Even after a snowfall, this playground has plenty of ways to stoke the imagination and have fun! Swings, monkey bars, slides, and a drawbridge-like climbing wall ensure that this play set will get plenty of use over the years. A long set of stairs leads up to a playhouse up on a hill. A metal slide leads down from a light pink door into the lush yard. This play set has a couple of unique swings, along with several slides, a climbing wall, and an enclosed section with portholes. 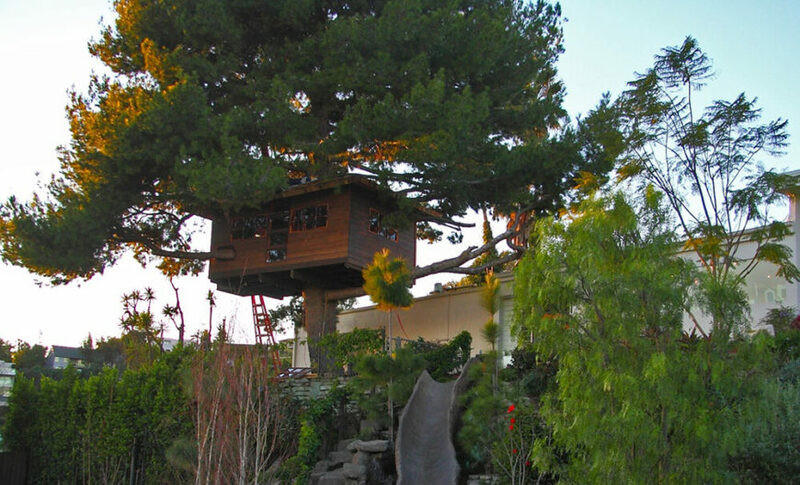 This spacious treehouse is built into an enormous tree. 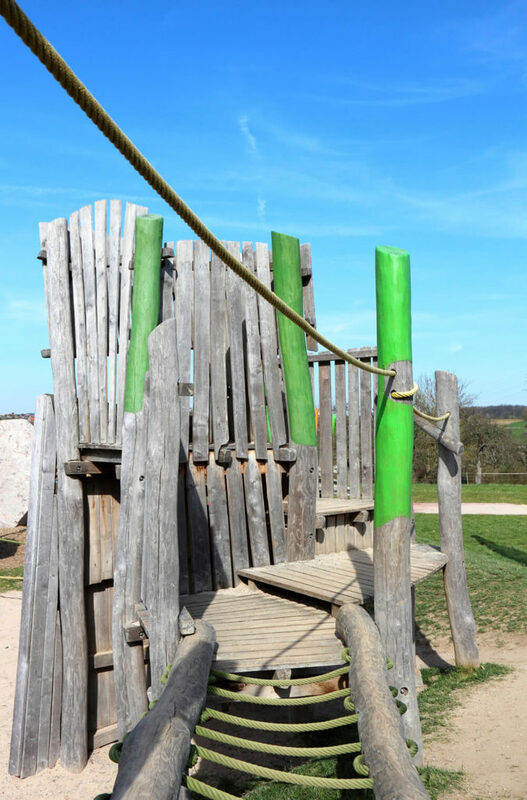 A faux stone slide is built into the hillside as well to create an adventure play area. 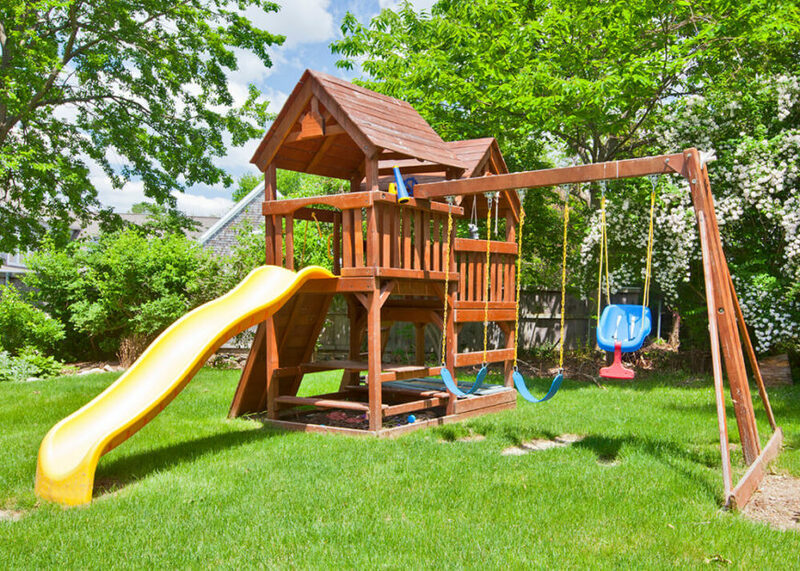 A wooden play area with a slide and swingset. Below the cabin area is a small picnic table. This set is all about the slides, featuring a number of different shapes and styles. This play set, when finished, will have a log-cabin style atmosphere, a large, sturdy swingset, and a slide, in addition to the tall lookout tower. Rope bridges and balancing beams are another fun activity to add to a play set, as long as they aren’t too far off the ground! 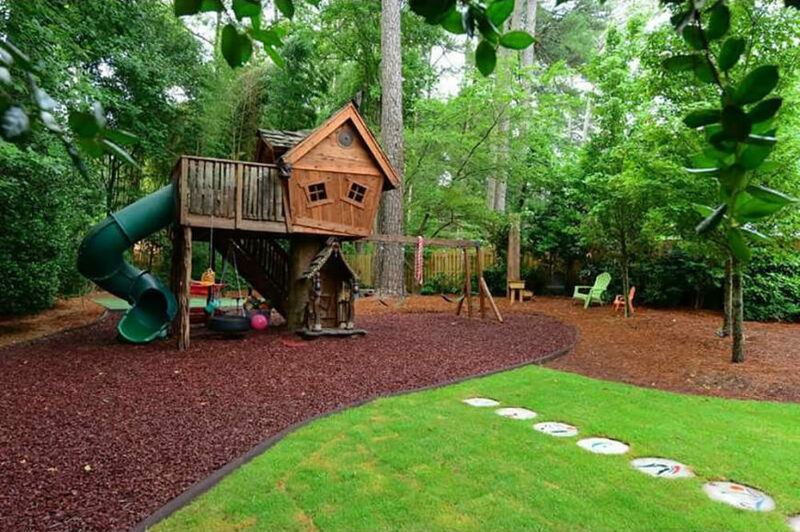 A sandbox sits below the fort section of this large backyard play set. This set also includes a spyglass. 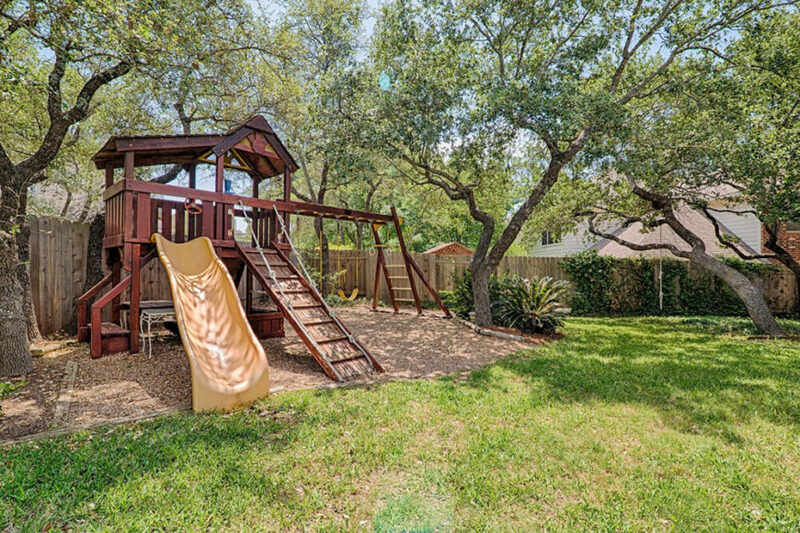 Smaller backyard playground with elevated fort and swing set. Buy at Amazon.